The two outlets are the first among over 100 Jawa Motorcycles dealerships that will be set up in the country. 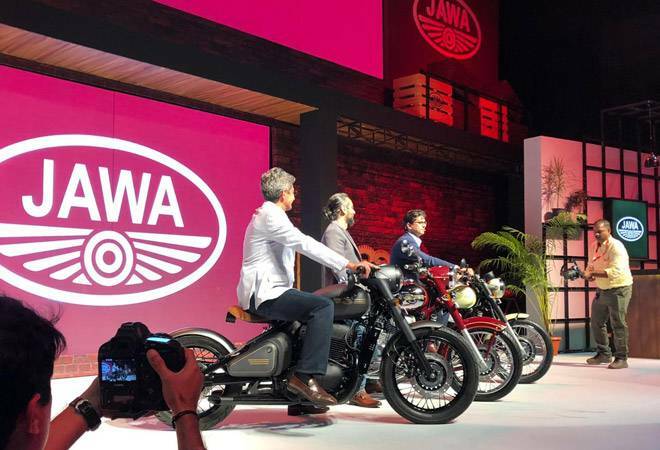 Czech motorcycle brand Jawa, which re-entered the Indian market last month with the introduction of three models, Saturday announced the launch of its first two dealerships in the country in Pune. With the two outlets - at Chinchwad and Baner in Pune -- becoming fully operational, customers can book and test-ride Jawa and Jawa Forty Two motorcycles, Classic Legends said in a statement. Classic Legends Pvt Ltd, a subsidiary of Mahindra and Mahindra, on November 15 relaunched its 293-cc Jawa Forty Two, Jawa and Jawa Perak motorcycles in the domestic market. Classic motorcycles find classy locations in Pune! Shakti Automobiles, Jawas first Dealership is now formally open. Rumble in to experience the nostalgia and test ride the motorcycles today. In 2016, Mahindra group struck a deal with the Czechoslovakia-based motorcycle company which allowed Classic Legends to launch and market bikes under the Jawa brand in the country and east Asian markets. The bikes are being produced at Mahindra's manufacturing facility at Pithampur near Indore in Madhya Pradesh.